When three Toronto designers founded Forge Media + Design in 2005, they looked to FunctionFox to help them manage their time and keep the new firm in the black. Stüssy Tschudin RGD, a founding principal of Forge, remembers that "for our first few projects we simply guessed at how much time they would take. I had used FunctionFox previously and I knew that it could streamline the way we managed our resources." In Forge's early days, FunctionFox helped to establish a baseline: how many hours did each project take? 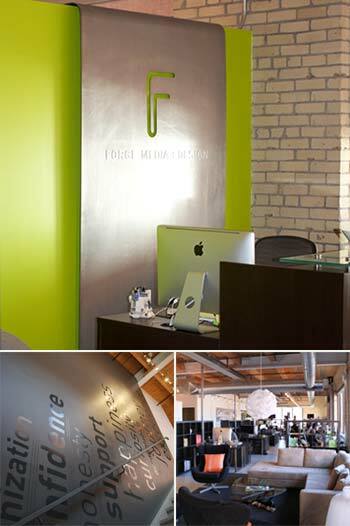 Nine years later, Forge has grown to 25 employees and still relies on FunctionFox for project and personnel management. Forge's designers log their hours and tasks with FunctionFox daily, giving team leaders up-to-the-minute intelligence when planning team capacity and quoting new projects. In one case, FunctionFox saved the day by alerting staff that a project was going far over budget, ensuring that future projects stay on track. The manager of Forge's web design team noted that "it helps me identify bottlenecks in our process and to allocate the right resources for each task. Every day, I rely on the data it captures to make my job easier." This data has also become crucial for setting the firm's strategic direction. Forge's principals use the reporting tools to analyze years of project and personnel data, helping to identify long-term trends and profitable directions. Since FunctionFox's pricing model is based on the number of users each month, the system can respond quickly as the company grows, while retaining the data from past employees. At one point, a new hire brought in a different project management tool. The limitations became clear immediately; for one thing, managers realized there was no way to create custom tasks for each project. According to Tschudin, the other system "was complicated and time-consuming to deal with. We were working for it, instead of the other way around." The choice to switch back to FunctionFox was easy. For Forge's employees, using FunctionFox has become as much a part of their routine as grabbing their morning coffee. As one designer remarked, "Logging my time and checking my progress is the easiest part of my day. It does the heavy lifting so I can focus on bringing our clients' ideas to life."